Sergei Rachmaninov was not only one of the greatest pianists of the twentieth century, but also the last great representative of the Russian Romantic tradition, exemplified especially by Tchaikovsky and Rimsky-Korsakov. 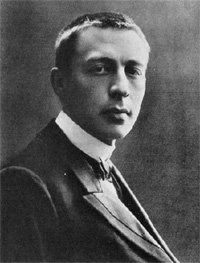 Originally wealthy, Rachmaninov's family was reduced to straitened circumstances by his father's extravagance, the resulting strain eventually leading to his parents' separation. In 1885, after an initial period of study at the St Petersburg Conservatoire, Rachmaninov was sent to study the piano with the strict teacher Nikolai Zverev, whose regimen required that the boy's piano practice begin every morning at six o'clock. Living at Zverev's also gave the young Rachmaninov the opportunity to meet such impressive musicians as Anton Rubinstein, Anton Arensky, and, most crucially, Tchaikovsky, at Sunday afternoon gatherings. In 1888 Rachmaninov started taking composition lessons with Taneyev and Arensky, and the increasing importance to him of composing led to a breach with the piano-oriented Zverev. Before his graduation he wrote such successful works as the warmly emotional First piano concerto, the Trio elegiaque No. 1 and the very Russian, Tchaikovsky-influenced one-act opera Aleko — his graduation exercise — for which he was awarded the highest mark possible. Rachmaninov seemed to be about to launch on an assured career, and in 1892 he wrote one of his most popular pieces, the Prelude in С sharp minor, the performance of which as an encore was to become a resented chore for the composer. But five years later the premiere of his ambitious First symphony was a disaster, possibly because of the inadequacies of Glazunov's conducting, and Rachmaninov sank into three years of compositional inactivity. His depression was eventually cured by treatment under hypnosis, and the result of Rachmaninov's rediscovered confidence was the immediately successful and endurmgly popular Second piano concerto. 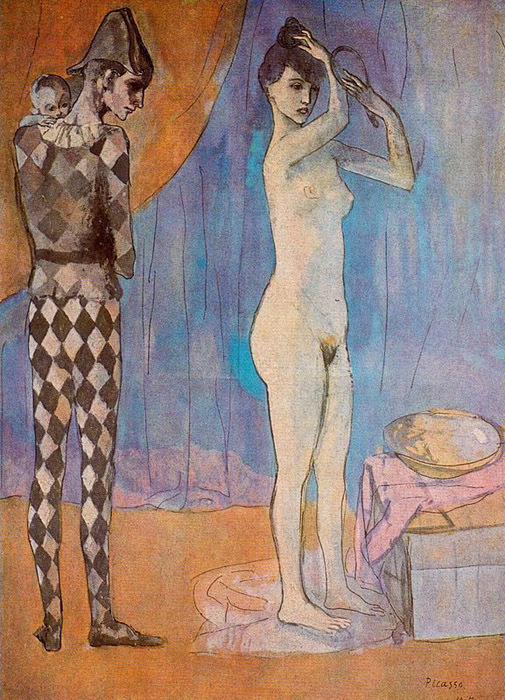 The momentum and excitement engendered by the build-up to the finale's ecstatic climax in this work became a model for the conclusions of Rachmaninov's subsequent pieces. The next 15 years were highly productive, and saw such large-scale fruits of his maturity as the Second symphony (1906—7), the Third piano concerto in 1909, and in 1913 The bells, a choral symphony based on a poem by Edgar Allan Рое. Rachmaninov again abandoned composition, however, when he and his family left Russia for the United States following the revolution in 1917, and the necessities of supporting a household forced him into a career as an international concert pianist. When Rachmaninov returned to composition in 1926 with the Fourth piano concerto, its negative critical reception suggested he may have lost his flair. But in the 1930s he recaptured former glories with the Variations on a theme of Corelli (his last solo piano work); the Rhapsody on a theme of Paganini, for piano and orchestra, in which he achieved a new leanness and concision of expression; and the Third symphony, completed in 1936. His last work, completed three years before his death from cancer in March 1943, was the Symphonic dances, which not only shows his interest in instrumental sonorities — illustrated by the use of an alto saxophone — but also reaches back to evoke the beloved Russian Orthodox chants of his homeland.